The Force Awakens in the latest Star Wars instalment and so does C-3PO when it gets dark protecting you from the Darkside. 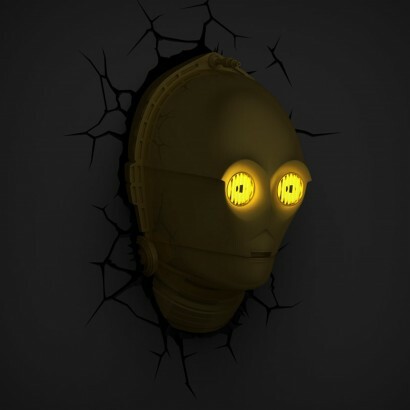 A loyal companion for Star Wars fans of all ages, C-3PO’s eyes are lit by yellow LEDs that shine into your room giving just enough light for kids to settle at night. 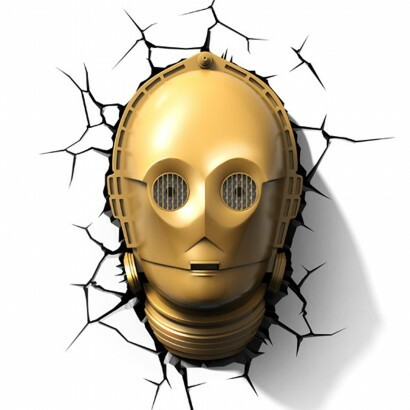 Battery operated, 3PO remains cool to the touch and can be placed anywhere in your room where this faithful droid will shine gently as either a nightlight or mood light adding an out of this world feature. 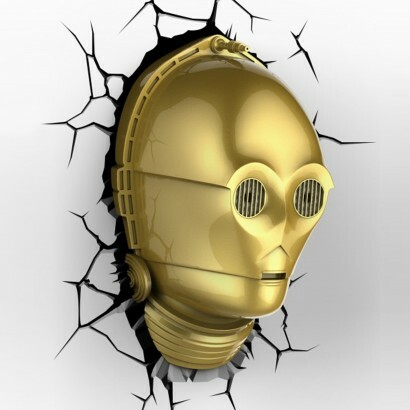 Place the crack backing sticker on your wall and place C-3PO’s head over the top to create the awesome smash through effect for an incredible lighting feature that Star Wars fans will adore!